Understanding the triggers or the underlying cause could be the first step towards a cure. Doctors usually list headaches under two broad categories - primary and secondary. 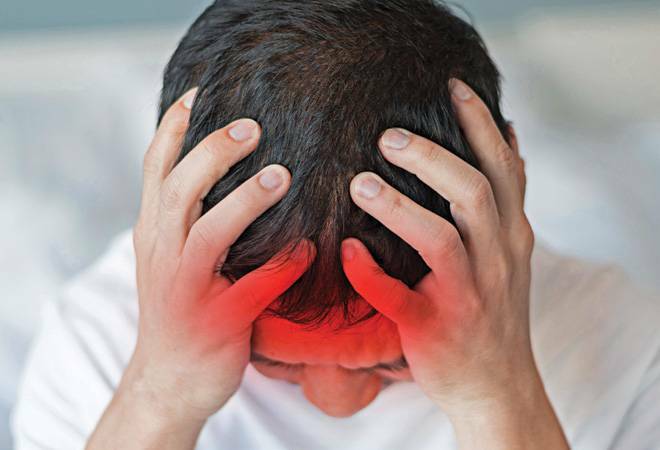 Primary headaches occur due to abnormalities or neurological conditions such as brain tumours, increased pressure or blood clots in the brain or other issues related to the nervous system. However, people, in general, suffer from secondary headaches. "These are triggered by certain factors or conditions which affect our organs or the body as a whole. Known as tension-type headaches (TTHs), these could be caused by poor sleep, skipping breakfast, sinusitis (inflammation of paranasal sinuses) or side effects of medicines," says Dr Ambanna Gowda, Consultant, Internal Medicine, at Fortis Hospital in Bengaluru. Such headaches are often stress-induced or occur due to uncontrolled hypertension, dehydration, toothache or ear ache. So, what could we do to ward off the pain?One big mistake, says Dr Gowda, is starting the day on an empty stomach. "Skipping your breakfast is not a good idea as it could cause hypoglycemia, a low-sugar condition leading to dilated blood vessels and headaches," he adds. Poor ergonomics, especially improper sitting at your workplace or inside your car (if you are driving without a proper headrest) can severely strain the neck muscles and cause a headache. Also, there are certain red flags which should not be ignored. If you have a splitting headache along with nausea, blurred vision or dizziness, visit a doctor to rule out any underlying medical complication. According to Dr Gowda, the actual cause of concern is self-medication - the habit of popping in pills without getting a diagnosis. The result: Gastritis, drug-induced ulcers and even kidney failure. Water-dispersible painkillers may act fast but will soon damage the stomach lining, leading to ulcers. Worse still, constant self-medication could make you gloss over any serious ailment and it would remain undiagnosed for a long time. New devices are now available to deal with migraines, says Dr Gowda. Cefaly, for instance, is a non-drug, non-invasive treatment for coping with the severe complication. Approved by the U.S. FDA, it is a nerve-stimulating device and looks like a headband. New drugs are also being developed to deal with migraine attacks. The FDA has recently approved Aimovig for preventive treatment. It is one of the new group of drugs that can block calcitonin gene-related peptide (CGRP), a molecule which spikes during migraine attacks and sensitises the nerves in the face, head and surrounding areas, thus intensifying the pain. However, there could be unpleasant side effects and such medicines may not be effective for all. So, avoiding headache triggers seems to be the best solution, at least for the time being.